Illustrated by Bill Farnsworth. 40 p., Whitman, 1995. This remarkable and inspiring story is based on events that occurred in Billings, Montana, in December, 1993. As the story begins, vandals attack the home of Isaac Schnitzer and his parents. They are Jewish, and are displaying menorahs in the windows in celebration of Hanukkah. The community holds a meeting to address this hate crime. At this meeting, Ms. MacDonald tells the legend of King Christian of Denmark. In this legend, when the Nazis force Jews to wear stars, King Christian wears a star also, inspiring many other Danes to do likewise. Ms. MacDonald suggests that like the Danes, all the citizens of Billings can display menorahs. Churches work together to implement this plan. The newspaper publishes a picture of a menorah for people to put in their windows. Meanwhile, Isaac's teacher holds a productive discussion of difference, prejudice, and bullying. Christian children and adults empathize with the Jews, imagining what they would experience if someone vandalized their homes because they were displaying Christmas decorations. Isaac comes to a new sense of pride in his Jewish identity. And although it takes time, as the people of Billings work together to fight hate, the violence eventually stops. Illustrated with oil paintings that effectively convey a sense of light in the darkness, this moving story imparts powerful lessons about diversity, unity, and courage. 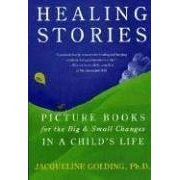 Dr. Cohn has also written a play based on this story that can be performed by children (see www.papercandles.com). 32 p., Frances Foster Books/Farrar, Straus and Giroux, 2007. Moving to a new country can feel abrupt and discontinuous. This is Angelina's experience when her family moves from Jamaica to New York City. New York seems gray, cold, and lonely to her, and in her dreams, she returns to the warm sun and vibrant colors of Jamaica – vividly represented in the colorful illustrations – and to her old friends and her grandmother. One of Angelina's happy memories is of dancing at Carnival with her friends. When she has the opportunity to participate in a Carnival parade in New York, she prepares for it, all the while feeling that it won't make up for missing Jamaica. But when the parade music begins, Angelina experiences this as a part of home. Through her participation in the parade, she can feel that she's at home in New York. With Angelina, children will see that it's possible to make connections between an old home and a new one - to bring the old home to the new - and in doing this, to feel at home in a new place. 34 p., Star Bright, 2005. In this book, children introduce themselves and their siblings. Many of the children have disabilities: deafness/hearing impairment, blindness, congenital amputation, cerebral palsy, Down syndrome, and Asperger's syndrome. The narrating child explains in simple language what the disability is and describes some of the family's experiences - some directly related to the disability, some not. A glossary describes the disabilities, and a resource list is included. Illustrated with color photographs that capture the children's warm relationships, this book normalizes, informs, and promotes acceptance. Illustrated by Jan Spivey Gilchrist. 48 p., HarperCollins, 2006. Even when life seems dull and discouraging, there are possibilities for friendship. Drummond (known as Drum) starts his summer bored. There are no other kids his age on his block, and his baby brother's needs always seem to take precedence over his. But soon Dorene, who is just his size, moves into the neighborhood, and they play together. When Louis, who is also their age, moves in, they welcome him. And Dorene's cousin, Rae, comes to spend the summer. The four children run on the playground, tell stories, and collaboratively create a wonderful make-believe town where they act out stories. When it's almost time for school to start, they celebrate the connections they've formed, and together say goodbye to summer. The book is itself written as a play, encouraging children to act out its story, and the illustrations are full of motion and energy. The families are diverse in their composition. When children are sad to see their summer fun end, they'll feel empathy from this story, along with support in maintaining the connections that were part of summer. Illustrated by Raul Colón. 40 pages. Random, 2008. Even people who may seem different have common experiences and can work together to end prejudice. This book tells the stories of Martin Luther King, Jr. and Abraham Joshua Heschel. They experience many parallel prejudices, King in the segregated American south, and Heschel in Nazi-era Germany. But both have parents who teach them that they are "as good as anybody," and both have hope that "in the next world, people everywhere will live together in peace." Both speak out for equality. After moving to the United States, Heschel joins King's famous march from Montgomery to Selma. In a moving scene, they join hands - White and Black, Jew and Christian. Symbolizing a diverse alliance in support of equality, they are unstoppable. This story can help children understand both common experiences across seemingly different groups and the value of working together to end discrimination. Illustrated by Kay Life. 24 pages. Whitman, 1995. A girl's Mommy has frequent hospitalizations. When Mommy is in the hospital, the girl feels sad, things just don't seem right, and she doesn't want to do much at school. Her teacher is understanding, and she has other adults to take care of her - Daddy, a babysitter, and a friend's mommy. The girl worries that her misbehavior might have caused Mommy's illness, that Mommy might never come home, and that her hugs might hurt Mommy, and she resents the unfairness of Mommy's illness. Daddy reassures her. The girl eagerly anticipates visits to Mommy at the hospital - although it's painful to end them - and Mommy's return home. Mommy has to rest for a week when she returns, but she finally takes her daughter to the playground, and then things feel right again. This story validates children's feelings about a parent's illness and offers hope for recovery. Chester's Way by Kevin Henkes. Chester (a mouse) always does things his way, from the way he cuts his sandwiches to the way he ties his shoes. He and his best friend, Wilson, are inseparable, and have all the same tastes and preferences. When Lilly moves into the neighborhood, they can't help noticing that she does things in her own unique way. They decide that she's weird, and avoid her. But when Lilly saves them from a group of bullies, they become friends. They find that they have both differences (for example, in the ways they cut their sandwiches) and similarities (for example, they all have night lights). When Chester and Wilson try doing things Lilly's way, they find that they enjoy them. They teach her some of their ways, too. The three friends become inseparable. Children will see that even kids who have very strong feelings about doing things a certain way can be comfortable making room in their lives for new ways to do things. Illustrated by Susan Covert. 40 pages. Verbal Images Press, 1996. When kids have ADHD, they and others around them can see them as clumsy and annoying, and they may forget to do homework or to turn it in. Because of experiences like these, Ben feels bad about himself. His father takes him to Dr. Lawson, who explains that he has "Attention Deficit Disorder," which he describes as a chemical imbalance affecting his control of his behaviors and thoughts, adding "my thoughts run ahead of me." Ben's father explains that he has eagle eyes, noticing everything. "But eagles know when to stop looking around and zoom in on their prey. Me, I just keep noticing more things and miss my catch." Dad helps Ben to make up a song that helps him get ready for school in the morning, and Mom gives him relaxing bedtime music. Ben also learns to read people's facial expressions and use them to change his behavior. And Ben's eagle eyes are a help when his father is injured while hiking - Ben is the only one who knows the way to the ranger station, where he can get help. This helps Ben to appreciate himself. A parent resource guide gives ideas about parenting children who have ADHD. With Ben, children can learn to cope with the challenges of ADHD and feel good about themselves.